The Battery Management System (BMS) is one of the most important component in your electric scooter or bicycle. It is usually located inside the battery pack. To understand how the BMS works, we first need to understand how the individual cells in a BMS is connected. 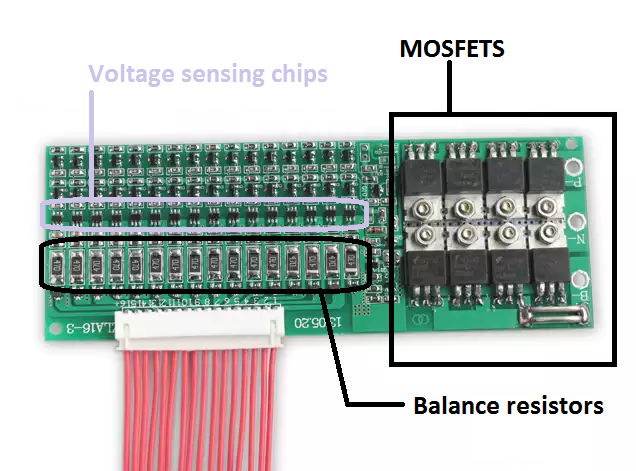 BMS typically achieve this by using Balancing resistors to drain all of the group of cells to the voltage of the lowest group of cells to allow the charger to continue charging the battery. Newer PostHow to limit my electric scooter/bicycle speed for good?